Additionally, both Async Iteration & Promise.prototype.finally are set to be discussed for Stage 4. Async Iteration is an expansion on the iterator protocol (think for..of & Symbol.iterator) for the asynchronous resolution of values. This actually could be really interesting / useful for interoperating with Observables, as it provides a pull-based method forasync values, so Async Iteration could provide a useful "seam" between push-based Observables and a pull-based consumer. Promise.prototype.finally is used to provide a callback after a Promise has resolved. It’s not exactly the same as try / catch / finally when using async / await, as the finally block in that case can contain more await‘d promises. A lot of Promise libraries have this method, commonly used for cleaning up resources like database connections or turning off a spinner after the request complete. This doesn’t change your usage of async / await itself, as it’s a prototype method on the Promise object, and they don’t really function the same either. 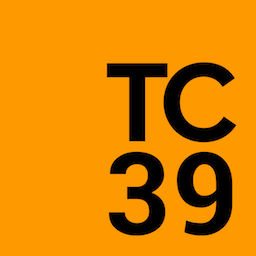 Regardless, the discussion will definitely be interesting for anyone who’s attending, and I’m curious if TC39 is going merge the guidance or not. My suspicion is no; the decision seems controversial for little to no material benefit for the committee. The meeting run Tuesday – Thursday of this week, so keep an eye out for any announcements from the committee as they finalize the latest version of ECMAScript. We’re attempting to implement an API like this on top of React, instead of in a separate library. This post lays out the initial JSX-based API for components. The idea now is to think of a component as an expression of how data flows into and out of a particular section of the DOM. 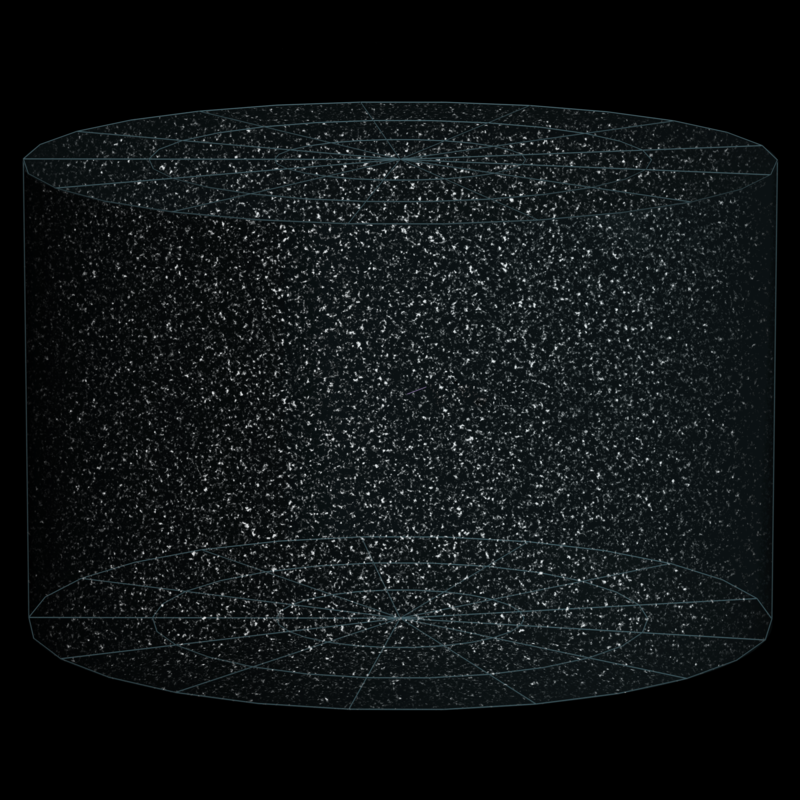 It’s a membrane around the stateful DOM contents within it, ensuring that any changes made to what’s inside is controlled and protected by Observables and the pure functions that interact with them. Testing a component thus entails pushing data and events through the membrane and ensuring the right values come out. We can push props into the component, do snapshot testing with the resulting element, and verify the correct effects were emitted, and fire events against that section of the DOM and verify the correct actions were emitted. This would cover the full behavior of the component. Combining that with Storybook-based screenshot test workflow would provide a solid testing experience for brookjs components. The first thing to note is the text of the element is expressed a stream embedded in the JSX. Any changes in the element must be expressed as an embedded Observable. The render function is only called once and passed the stream of props$ for the component. The second thing is events are now expressed as onX attributes, which take functions. These functions are called with a stream of event$, which are the same functions passed into the current events helper, so there’s no change in the logic when converting to JSX. Backwards compatibility will be maintained by migrating the current Handlebars-based attributes to the new style at runtime. Note that we’re no longer using the render helper function in the above example. We’ll determine whether this is a new-style or old-style component based on whether it’s using the old helper functions. We can deprecate those helper functions when (and if!) we deprecate the handlebars-based mechanism for rendering components (discussed below). Even attributes on a component must be expressed as an Observable. Again, anything dynamic must be expressed as an Observable. This allows the developer to optimize rendering at a very granular level. Individual attributes can be filtered, and skipDuplicates becomes a version of React’s shouldComponentUpdate, but instead of needing a single function to account for the entire component, we can write a function for each individual change in a component. Child components look similar to React, but instead of being passed individual props, they’ll be provided a stream of props$ based on the parent’s props$. In the previous version, we had a hook for this, modifyChildProps, but because the render context was handled through Handlebars, it wasn’t actually that useful. This makes the idea intended by modifyChildProps easily expressed in the render function. As described in the comment, the todos passed into the TodoList component is an object containing an order key and a dict key. The order is an array of keys which indicate the order the todos appear in. The dict key is an object that holds all the key / value pairs of the given todo. These two combined provide a mechanism for rendering lists of components. This is ideal because searching through an array for the correct instance based on a property in an array of items could hurt performance with a large array. key works the same way it does with React. It indicates a unique instance of a component. This ensures that should a component be rearranged, the correct instance is moved to the new location. preplug is a hook into the child component’s instance before it get plugged into the parent component which allows the developer to modify child actions and contextualize them. This allows small child components to emit generic, reusable actions while the parent components modify them based on where they come from. This is also currently doable with the current Handlebars-based API. The parent component is thus responsible only for putting the child component in the right order in the list, while the child component takes its stream of props$ and updates itself in response to its values. While we’d maintain the component-as-function approach for backwards compatibility, we’d like to move to an external function to mount the component in order to enable custom renderers, the same way React does. We could probably borrow some ideas from Ink for a custom CLI renderer and update brookjs-cli to use it. * until the stream is observed. This makes the application startup look functionally similar to React, except the mount function returns an Observable. Running observe, binding the view to the store, starts up the application. To some extent, this breaks the architecture, as the view is now "special", rather than just another delta where side-effects occur, but it’s more idiomatic in the React community. // until the store is fully instantiated. This is how brookjs-cli currently scaffolds a new app, so we might not need to change much in userland to ensure backwards compatibility. This is also basically how brookjs-cli bootstraps itself, so there’s decent precedent that this works. Under the hood, the domDelta can use the new mount function without breaking any backwards compatibility. We can also write other delta functions around other view compatibility layers. For now, backwards compatibility will be maintained through the old helper functions, which indicate Handlebars-style components. New components will just pass in an object of functions directly, and the component function will map the functions to the various lifecycle hooks. They also become an easy target for deprecation if we decide to remove support for Handlebars-based components. If a user isn’t using Handlebars components, the parse step is loaded for no reason, expanding the bundle size unnecessarily. If a user is using Handlebars, the parse function is a performance bottleneck which can be better optimized through JSX-based components. The only way to eliminate both these problems is to build a vdom-backed Handlebars implementation, which is not a trivial effort. We also have to maintain two compatibility layers, which is both extra code and extra overhead, as we also have to run and maintain tests for both types of components to ensure they both continue to work as expected. There isn’t enough bandwidth to implement both a JSX-based & a Handlebars-based component system. If the Handlebars implementation is doomed to be an inferior experience, does it make sense to deprecate it over the next few versions, as the JSX implementation comes online? A Handlebars component can be upgraded to a JSX component by copying & pasting the Handlebars template into render, and replacing all of the mustache tags, helpers, & partials with Observables derived from the passed in props$ stream. Logic can be moved from their current locations as configuration to inline in the JSX. Logic won’t have to change. Userland tests should continue to function as they do currently, and we will introduce some test helpers to simplify testing and support both snapshot and screenshot testing. Is server-side rendering worth what we’d gain with a JSX-based approach? Both of these wrap React components into "lifted" React components that accept Observables as React children. It then wraps those children to update when the Observable emits a new value. The syntax you find in these examples matches much of what we’d like to do with brookjs. Both of these are solid solutions. If you’re already using react-redux, you can integrate karet and our observeDelta to start using Observables throughout your application. 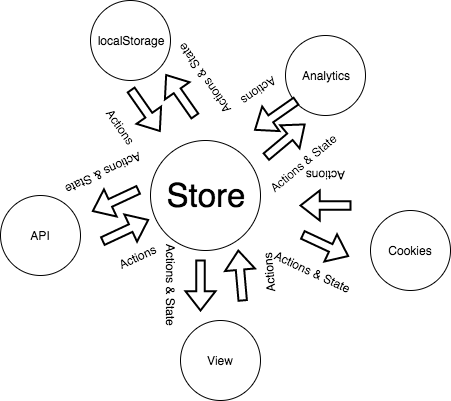 If you’re already using RxJS, focal and redux-observable would be a reasonable combination as well, and would give you access to the full React ecosystem. Declaring events as functions of Observables, and thus returning an Observable when mounting, would either be invasive or require writing a custom React reconciler, which would be difficult to impossible to fully support the ecosystem while enabling this feature. Declaring effects as Observables. The current implementation of modifyEffect$$ provides a low-level hook into the rendering process, and this will probably not be implementable on top of React, which has its own rendering process, Fiber. Because of these two goals of brookjs, we probably can’t build on top of React, although investigation will continue in this area to see if it’s feasible. This post is part of the thread: brookjs - an ongoing story on this site. View the thread timeline for more context on this post. It’s been more than 2 years in the making, but I’ve finally got WP-Gistpen, my code snippet WordPress plugin, into a state where I feel comfortable putting it out into the world, and I’m looking for beta testers. If you’re interested and have a WordPress site you can use it on, check out and comment on this GitHub issue. Everything you need to get started can be found there. If you’re not already aware, WP-Gistpen is a WordPress plugin for saving your code snippets to WordPress. It’s essentially a Gist clone for WordPress, backed by Prism and a custom Prism-based code editor. WP-Gistpen also syncs with Gist, allowing you to manage your Gist account from WordPress. WP-Gistpen turned into an interesting exploration of a lot of different approaches, and if you’re a developer, there are several projects you can get involved with. On the back-end, the plugin uses a small framework I built called jaxion, which provides a structured object-oriented approach to building WordPress plugins. It provides a basic App Container and a Loader for binding classes to WordPress hooks. I also built heavily on the WP-API, and all the plugin’s pages are API-driven apps. On the front-end, I’m using the Handlebars templating language along with brookjs, a React-inspired front-end framework I’ve been working on. WP-Gistpen takes advantage of the work on both of those projects, so you can work on either framework or an application that uses both. There are certainly … bugs … but the data the on the back-end should be solid. As the plugin is still in beta, please back up your database. I have the plugin running on my live site, but there’s always a chance something could go wrong, especially if you’re upgrading from the .org version. If you’re interested in putting this plugin through its paces, comment on GitHub. Let’s build a realworld.io for brookjs! I’ve been working on brookjs for the better part of a year, and it’s maturing into a solid framework. In order to help make brookjs real for people, I started building a realworld.io app with it. The intention is to make this a testbed for brookjs, hammering on all the features and hitting as many weird corner cases as possible. WP-Gistpen has been doing that for me up to this point; implementing a syntax highlighting text editor on top of brookjs has been an interesting challenge, one still pretty fraught with problems, but it’s allowed me to abuse every layer of the stack, sussing out bugs and designing patterns. In order for the framework to really progress, it has to be stable, and there are areas of it that aren’t tested enough to really be considered production-ready. brookjs-realworld.io can test some of those areas–specifically, animations and the rendering cycle API–and bring them the "real world" (cwidt?) implementations they need to iron out their warts. I also need to see what the development experience looks like to those outside the bubble. To assist with that, I’ve also started a cli for brookjs, which can also be informed by realworld.io development. beaver will be able to scaffold new reducers/deltas/etc., manage and run the build and test scripts, and provide a opinionated means of building brookjs applications. I’m basically stealing the best ideas from create-react-app and ember-cli and implementing them for brookjs. Even if we’re stable now, we’ve got a number of improvements we can make to brookjs, the first of which is precompiling the Handlebars templates to vdom-returning functions, rather than parsing the string output of a Handlebars function. We currently recommend using handlebars-loader, but if the cli manages the build process, when the time is right, we can swap handlebars-loader for a brookjs-loader (or similar) without breaking anyone’s app (🙏). Anyone can contribute to the realworld.io app, and I’m working on a Vagrant setup so we can provide the entire environment without needing to install anything on your development machine (besides Vagrant and Virtualbox). It doesn’t do anything yet but provide scaffolding for the front-end and back-end bootstrapping. If you’re interested in getting to know brookjs and seeing how it works in a real app, or want to help define best practices for brookjs applications, check out the realworld.io app on GitHub. This is a great opportunity to find something you’re interested in learning (API, caching, offline apps, cli apps, observables…) and work on it collaboratively with other people. If you want something to work on, comment in or open an issue on GitHub. This post is part of the following threads: brookjs, Project: WP-Gistpen - ongoing stories on this site. View the thread timelines for more context on this post. Quick Vue tip: lifecycle methods update & beforeUpdate will not be called if the props that changed for a component aren’t being used to render. In my case, I was using a prop not used by the render method to trigger some side effect, and couldn’t get the callback to trigger the side effect. Use this.$watch to watch prop changes unrelated to a Vue component’s rendering. I have been reluctant to learn a modern JS framework because the network has felt too volatile for me to make a jump, and I really don’t see a point in learning something until I decide to use it in my daily workflow. I invest my time in getting really good at the tools I use instead of pretty good at a bunch of different tools. Once the community makes this decision, I have a solid reason to learn one of these frameworks. Until then, I’ll just stick with jQuery, even though I dislike it. The counter to this is that a number of the frameworks share concepts that are broadly applicable. Understanding what a component is applies to React, Vue, Angular and others. The knowledge transfers, even if the specific implementations are different between them, so there isn’t a reason to avoid learning one. Understanding React makes learning Vue easier, and gives you a better sense of what trade-offs are made when choosing one over the other. Also, many of these frameworks follow a similar Flux-y pattern (actions up, data down), which is additional knowledge that again transfers regardless of framework. The volatility in the JS community has settled down since a few years ago, and these concepts are broadly applicable, so I’d highly recommend picking one (usually React) and learning it as much for its concepts/approaches as its specific implementation. A great overview of the benefits and drawbacks of TypeScript-style static type systems. When I talk to other developers about Observables, it’s often hard to explain their benefits because on the surface, they just look like glorified event emitters, but it’s how they compose that make handling dependencies between async events such a breeze. While working on the code snippet editor in WP-Gistpen, I came across an example that shows how easily Observables handle async behavior. So here’s the setup: building a snippet editor on top of PrismJS and borrowing some code from Dabblet, both from Lea Verou, and using Redux as an Observable of states, we need to rerender the editor as the text changes, keeping the syntax highlighting up to date. We keep the position of the cursor and the value of the editor in the Store, allowing the reducer to be responsible for the complex logic that handling special text editor keystrokes, like enter, tab, etc. The issue is rendering the editor requires us to track & reset the cursor, as we have to reset the text with the latest from the store and rehighlight it. If we do that while the user is typing, we have the potential to interrupt her, so we need to delay the render until the user is no longer typing. The render itself is scheduled in a requestAnimationFrame, so if the user types before the next frame, we need to cancel the render request and wait until the user stops typing again. Otherwise, when the frame renders, the cursor will jump back to the position it was at when the render was scheduled. So this is the problem we’re trying to solve. In brookjs, a component is just a function that takes a DOM element & a stream of props$ and returns a stream of (usually Flux Standard) Actions from the element. Since we’re given an Observable of state, we’re able to get pretty fine control over exactly when the editor renders. This problem is obviously solvable in a stateful way, with the view being responsible for holding onto a reference to the render loop, scheduling it in one event callback if a render isn’t scheduled and cancelling the render on the other if it is. We’re not talking about a huge component here, so there’s no reason to think managing this state would be difficult. But as this component grows in complexity (and it will), colocating the temporal dependencies makes it very easy to reason about how the component changes over time. In the above example, how keyup and keydown events interact with the render cycle is explicit, rather than bouncing between callbacks or methods to see how animations are scheduled and cancelled. There’s zero chance of accidental cancellations or double renders. Side effects, like updating the DOM, are wrapped in a stream, so they can be handled asynchonrously and cancelled, if needed. Because an Observable comes with its own cleanup code (the function returned at the end of stream‘s callback), when the active Observable is switched, the animation frame request for the previous Observable is cancelled, ensuring the user isn’t interrupted as she types. The props$ stream has control over when the render happens, and flatMapLatest ensures only the newest Observable is being observed at a time, so as the props$ emits new state, previous renders are also cancelled. brookjs provides some structure around this paradigm, but underneath, this is all that’s happening, and it provides some elegant solutions to thorny async problems. The canonical example is the autocomplete box, sending an AJAX request as a user types and cancelling the previous request. This is explained by Jafar Husain in this great talk. Even after writing this article, the editor rendering continued to get more complicated, and handling it with Observables allowed me to focus on how particular events interacted with the render cycle, without worrying about how to manage what was actually happening at a given time. Let me know if you think the current implementation is easy to understand. ah yes, the revolution we’ve all been waiting for. humans on the internet talking to brands so they dont have to talk to each other.